Parties. It's what we do. Throwing a big birthday bash, bar or bat mitzvah, or just a fun hang out time with family and friends? 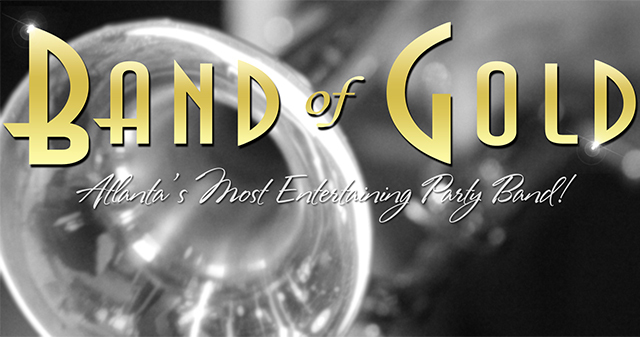 Band of Gold can provide the perfect soundtrack to your party by playing only the music you love from the 1940's to today's top 40. Planning a themed party? We can do that too! Costumes, lighting, great sounding music, photography. All in one package. Our award winning photography and musicians are perfect for any person of honor and all of their guests. Just tell us what they want to hear, and we'll do the rest! Band of Gold works with or without a party planner so we can take care of everthing from your itinerary to dancing to getting amazing photography of the big event. Looking for Motown, Disco, 80's New Wave? You can be as specific as you'd like and we'll handle the party so you can just enjoy it! They kept everyone on the dance floor and made the party a memorable one. Their sound is amazing but what I enjoyed most about them is how great they were to work with. They are such great guys/and gal and Kris pulls everything together and is exceptional at running the business side of things. You can spend $6-$8k on a band for your wedding or you can pay half and let these guys blow all of them away. Thanks again Band of Gold! You rocked it! Having performed for all age groups, we know what your party needs. It needs great music and great personalities. THAT's Band of Gold. Our musicians are as fun as they are talented and seeing how much we enjoy what we do is contageous. Your guests will dance and laugh as we bring them tons of action packed entertainment. Guaranteed. We don't just perform parties! Weddings, corporate events, community festivals, charity fundraisers. We do it all!